LEADER, that is a French acronym, stands for (Links between actions of rural development / Liaison Entre Actions de Développement de l’Économie Rurale). It is a EU funds designed for rural areas. The LEADER approach is based on the fact that traditional top-down policies have failed to tackle issues faced by rural areas. That is why, this EU funds tool has been designed to be implemented directly by local groups enabling them to play an active role in shaping their own future. The LEADER fund is managed by Local Action Groups (LAGs) that receive financial assistance to promote a local development strategy. They are structures made up of public and private partners that come from the territory but from different socio-economic sectors. The Pays du bassin de Briey has been selected as a “LEADER territory” in octobre 2015 following a call for project organized by the regional councill at the end of 2014. –> The LEADER application has been written around the priority of: innovate, train, coordinate, structure: for a dynamic economy. Based on an inventory of the territory resources, the aim of this action plan is to determine economical potential of different sectors that are not yet developed and then better assist economic actors. The Pays of bassin de Briey clearly suffer from a lack of resources in the economic advisory services or economic promotion field. Indeed, only the communauté de communes du Jarnisy has a community economic developer. Many structures operate in favor of employment and support companies on the territory (the department, services of the Region, Pôle Emploi, Consular chamber, etc.) and many networks already exist.However, those structures don’t support local authorities and propose more like an individual support for companies than implementing a structured strategy. Thus, it appears necessary through this action plan to strengthen and expand existing networks. There is a gap between the level of local worker competences and the nature of the posts available. Thus, the main objective of this action plan is to increase the skills base and create new jobs. In order to achieve this objective, there is a need to provide a better orientation/information on future jobs, to better coordinate structures that operate in the field of training and professional integration. Enhancing the services and attractiveness of the area for residents, visitors and investors. Strengthen the promotion of the territory in order to contribute to the arrival and maintenance of workers. An analysis of those objectives and action plans reveals that the LEADER strategy of the Pays bassin de Briey is structured around economic issues. 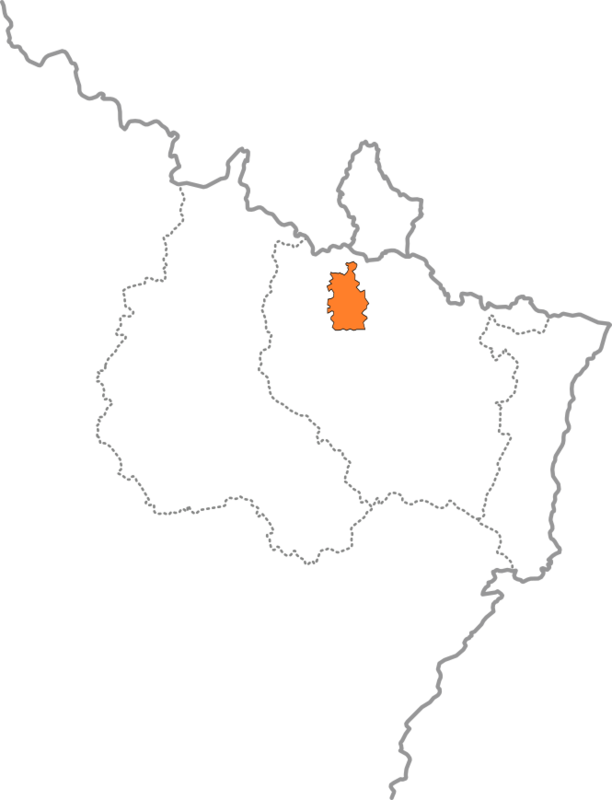 To sum up the strategy, most of the territory is identified as having a fragile economic base. That is why the aims of the strategy is to strengthen local economies and thus to create new jobs and increase the skills base.